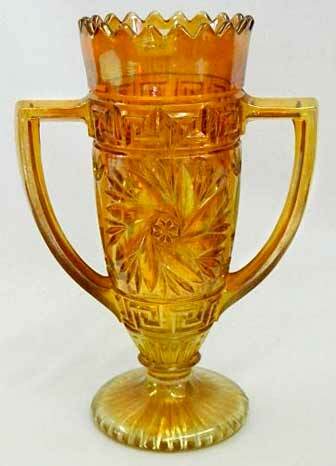 Not much known about this marigold loving cup except that it is probably of European origin. This may not even be the correct name, but this is how it was listed at the auction. It sold at the 2012 Southern California Carnival Glass club auction for $230. Photo courtesy of Seeck Auctions.